Monday was a quiet night at Lakeview Volunteer Fire Department in Hamburg. But, some here are using the down time to fight something that isn't a fire. “We're looking to make it even across the board,” said John Wicka. He’s been a volunteer firefighter for nearly 50 years. He's also a director for the Association of Fire districts of New York State. He's hoping this is the year the legislature passes the Fair Play Bill . “We're pretty much up against that tax limit, right now. If we had some supplemental income, it would help drop our taxes and it would provide relief taxes for our tax payers,” said Wicka. Right now, every EMS provider, except volunteer fire departments, is allowed to charge patient insurance providers for ambulance trips. This bill would allow volunteer fire departments to collect money for their EMS services. “If we had the opportunity to bill for these services we could take some of those revenues we could train our folks to become paramedics and higher level of care folks,” added Wicka. Not everyone is in support of the bill. According to Newsday.com , United New York Ambulance Network says the plan threatens certain Medicare payments for EMS in about 20 rural counties. It says Medicare will not pay fire departments when they team up with professional ambulance services for advanced care. Wicka says with higher and higher utility bills, this extra money may be what keeps some volunteer fire departments open. 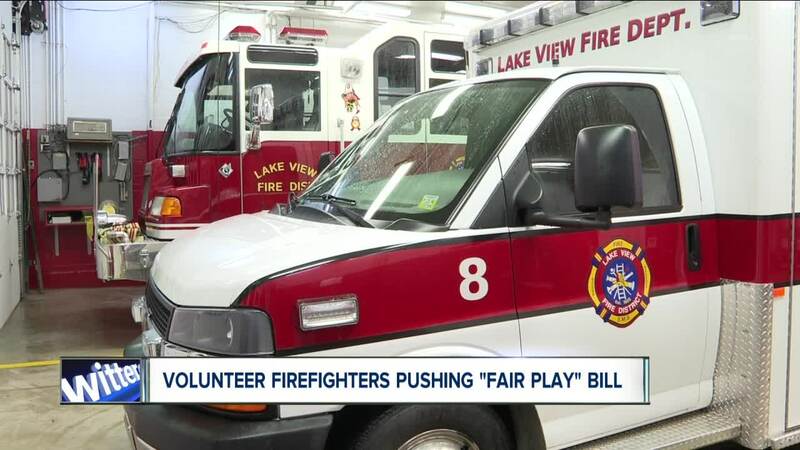 Volunteer fire departments have been trying to pass a similar bill since 2013.